Circuit Training is a high intensity workout offering intervals of strength, cardio, and core work with short rest intervals. Participants will see fitness improvements while working at their own level/intensity. Come join this fun/energetic class. Alexandra Miller, RDN, LDN, is a Corporate Registered Dietitian Nutritionist at Medifast and part-time fitness instructor at the Bellefonte YMCA. 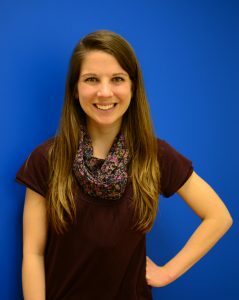 She received her Bachelor’s degree from Messiah College and completed her dietetic internship through the Pennsylvania State Hershey Medical Center. She has been a Registered Dietitian for four years, during which she received her level 1 and 2 Certificate of Training in Adult Weight Management. Currently, she is pursuing a Master’s of Science in Food & Nutrition through the Indiana University of Pennsylvania. Alex has been a fitness instructor for nearly five years. During that time, she has taught a variety of classes, including Cardio Kickboxing, Cardio Blast, Butts & Guts, and Cross Training. Currently, she teaches Cross Training classes on Tuesday and Thursday mornings from 6-6:45am. If you’re worried her fitness classes will be too hard, rest-assured that Alex will provide you with modifications to ensure you have a safe, enjoyable, and effective workout, so be sure give one of her classes a try! Susan Hodder has been working at YMCA’s for over 25 years. She started her career as a gymnastics coach at the Bellefonte YMCA in the early 90’s and held that position for three years before moving to upstate New York. She continued to develop her fitness background while she was employed with the Victor Active Family YMCA. She served in many capacities, from group fitness instructor to wellness coordinator, within the wellness department over a span of 18 years. 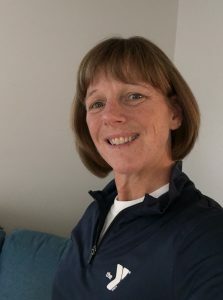 Susan returned to the Bellefonte YMCA in May 2016, where she has been widely appreciated as one of the Bellefonte YMCA’s most experienced and skilled group fitness instructors. Susan’s experience in group fitness includes the instruction of Step, Cardio Training, Circuit, Boot Camp, Strength and Conditioning, Body Combat, Silver Sneakers, Silver and Fit, and a number of youth fitness classes. Currently, Susan teaches three classes at the Bellefonte YMCA, including Low-Impact Aerobics, Circuit Training, and Forever-Fit. Matt Luksic arrived at the Bellefonte YMCA during the summer of 2013, where he was an intern within the Bellefonte wellness department. At the time, Matt was a senior kinesiology student at Penn State on the verge of graduation. He was hired as a wellness coach following his final semester at Penn State. Matt saw his role with the Y increase in April of 2014, as he became the assistant wellness director at the Bellefonte branch. In December of 2014, Matt became the health and wellness director of the branch. Matt’s desire to further his knowledge within this discipline has also lead him to pursue a master’s degree in exercise science and health promotion. 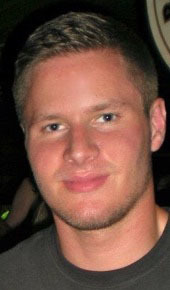 Over the last four years, Matt has specialized in personal training and group exercise. With a vast personal training schedule, Matt also teaches circuit training on Mondays and Thursdays from 12:10pm-12:50pm. ✦ NO MORE SESSION DATES TO REMEMBER! ✦ PAY ONE PRICE FOR UNLIMITED LAND CLASSES!